After a first day interrupted by rain that saw only Aprilia Racing Team Gresini, Team Suzuki Ecstar and Red Bull KTM Factory head out on track – those manufacturers with unlimited test days – Day 2 saw everyone at the unofficial test at the Circuit de Barcelona-Catalunya get down to business, with only Alma Pramac Racing, the Angel Nieto Team and EG 0,0 Marc VDS not present. The circuit has been fully resurfaced and the layout has been remodeled in the final sector; the two key reasons for the test. Michelin supplied four front and four rear tyres – ones already in the allocation for the season – and are planning to use information from the test to whittle it down to three compounds front and rear for the race weekend. 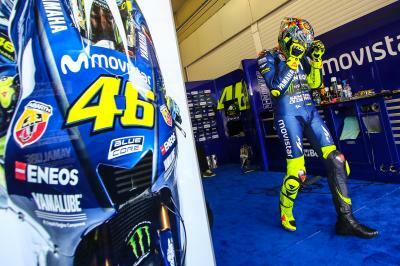 Movistar Yamaha MotoGP’s Valentino Rossi and Maverick Viñales concentrated on tyre testing, as did Monster Yamaha Tech 3’s Johann Zarco and Hafizh Syahrin – although Viñales was protagonist of some drama as an engine problem for the Spaniard brought out the Red Flag. 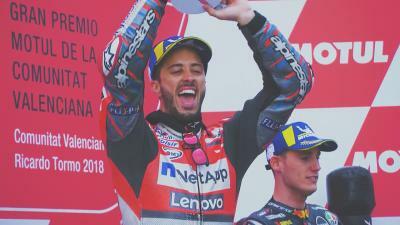 The Spaniard was also top on the unofficial timesheets, followed by Zarco and Ducati Team’s Jorge Lorenzo. Ducati had both Lorenzo and teammate Andrea Dovizioso out on track, with more Borgo Panigale factory machinery fielded by Reale Avintia Racing. For Avintia it was all about tyres, but Xavier Simeon took a tumble as well as Tito Rabat. Rabat’s crash brought out the second Red Flag and he was taken to the Medical Centre and confirmed as having no fractures, then headed to hospital for a scan to check for any ligament damage to his left elbow. 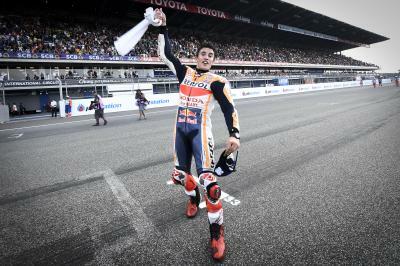 Dani Pedrosa (Repsol Honda Team) was another crasher – rider ok – as he and teammate Marc Marquez were present, and fellow Honda rider Takaaki Nakagami (LCR Honda Idemitsu) also took a tumble. 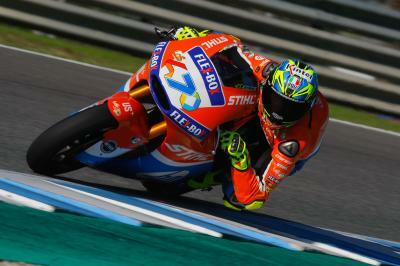 The rookie was also confirmed as ok after the incident, and got back to concentrating on maximizing track time. His teammate Cal Crutchlow (LCR Honda Castrol), despite still recovering from his crash in Q1 at Le Mans, was working on aerodynamics and electronics. Team Suzuki Ecstar’s Andrea Iannone and Alex Rins concentrated on the chassis, and test rider Sylvain Guintoli was also on track. 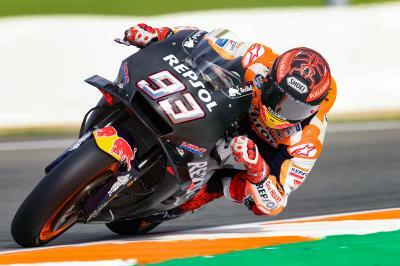 Red Bull KTM Factory Racing also had their test rider present in the form of Mika Kallio, who joined Pol Espargaro and Bradley Smith for the event. The Austrian factory were working on a new chassis and swingarm. 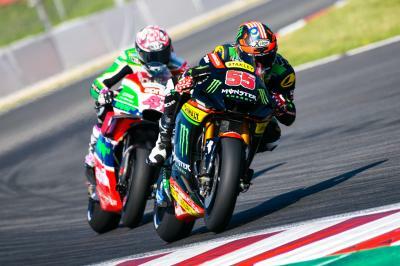 Aprilia Racing Team Gresini were also back on track, with Aleix Espargaro and Scott Redding putting in the laps for the Noale factory after doing the same on Tuesday. 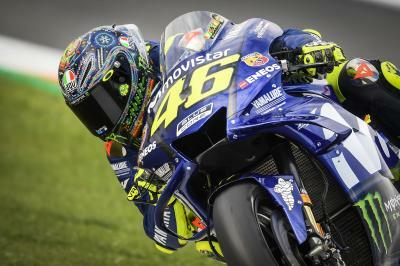 Now the paddock heads for Mugello and the stunning Italian GP!